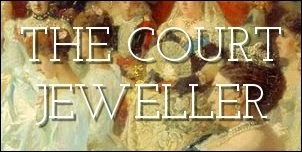 "Countess Szechenyi Robbed of Jewels"
Vienna, March 6 -- Telegrams from Budapest state that last week jewels of the value of $200,000 were stolen from the town residence of the Countess Laszlo Szechenyi, formerly Miss Gladys Vanderbilt . A detective afterward found the jewels in a motor car garage in the city, where they had been hidden, wrapped in a piece of newspaper behind a barrel. The grateful countess immediately sent to the detective a reward of $600. The Chief of Police, happening to hear of this, ordered the return of the money, saying the member of the force had only done his duty and required no recompense. Count Laszlo Szechenyi , the younger son of an ancient Hungarian house, and Gladys Moore Vanderbilt were married in this city by Mgr. 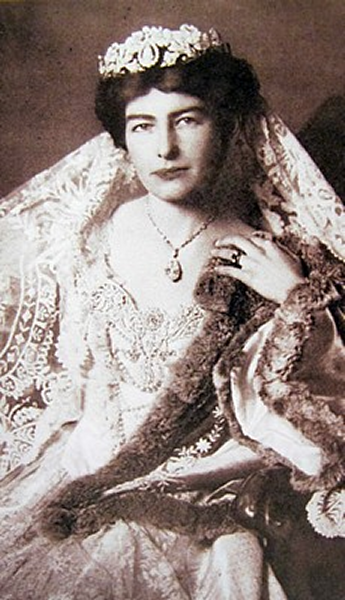 Lavelle in January 1908, the marriage being the most widely discussed international union since the wedding of her cousin, Consuelo Vanderbilt, to the Duke of Marlborough . Gladys Vanderbilt is the youngest of five children of the late Cornelius Vanderbilt , and her share in the estate was said to have amounted to more than $12,000,000. She has one sister, Mrs. Harry Payne Whitney , and three brothers: Cornelius , Alfred Gwynne , and Reginald Vanderbilt . At the time of the wedding four years ago, gossip had t that the gift of the bride to Count Szechenyi was a dowry of $5,000,000, of which, however, it was said that he was to enjoy only the interest. His gift to her was a collection of valuable jewels, which had long been in the Szechenyi family. 1. Countess Széchényi, née Gladys Moore Vanderbilt (1886-1965) was an heiress and a member of the famous Vanderbilt family. She became a member of Hungarian nobility when she wed Count Laszlo Széchényi in 1908. The couple had five children, including Gladys, Countess of Winchelsea and Nottingham. Countess Széchényi inherited her parents' famous mansion, The Breakers, in Newport, Rhode Island. 2. Count Laszlo Szechenyi (1879-1938) was a member of the Hungarian nobility. He met Gladys Vanderbilt in Berlin in 1907 and married her in New York the following year; they had five children. Among his many occuptions, Laszlo served as the Hungarian ambassador to both the United States and the United Kingdom. 3. Consuelo Vanderbilt (1877-1964) was Gladys's cousin. Her marriage to the Duke of Marlborough in 1895 was one of the most brilliant of the "Buccaneer" unions of the Gilded Age (even though it was ultimately unsuccessful). We talked about her famous diamond tiara over here. 4. Cornelius Vanderbilt II (1843-1899) was a grandson of the famous Commodore Vanderbilt and a railroad tycoon in his own right. He and his wife, Alice Claypoole Gwynne, were a part of the family building frenzy that included their summer "cottage," The Breakers, in Newport. 5. Gertrude Vanderbilt Whitney (1875-1942) was Gladys's elder sister. She was a famous sculptor and art collection; she was also the founder of the Whitney Museum of American Art. 6. Cornelius Vanderbilt III (1873-1942), one of Gladys's brothers, was a military officer who was disinherited by his family for marrying without their permission. He and his wife, Grace Graham Wilson, spent a great deal of time in Europe, cultivating friendships with numerous European royals. 7. Alfred Gwynne Vanderbilt (1877-1915), another of Gladys's brothers, died aboard the Lusitania three years after this article was published. 8. Reginald Claypoole Vanderbilt (1880-1925), Gladys's third brother, is most famous today as the father of fashion designer Gloria Vanderbilt (and grandfather of CNN anchor Anderson Cooper).